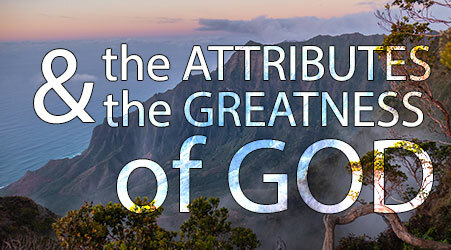 The Attributes and Greatness of God with Sermon Notes at a very special price $150 $25 (MP3) and $50 (Audio CD). 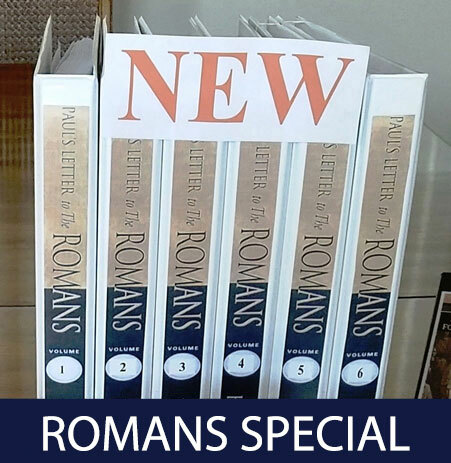 An exhaustive commentary of the book of Romans, considered to be the Constitution of Christianity. David Hockings clear authoritative teaching will have you reaching back to it time and time again. This complete outline and verse-by-verse analysis is available in a 6 volume series, bound in an 8 ½ x 11 three ring binder. David explains each verse both doctrinally and practically. He takes into account the history of the culture and the Old Testament context of each passage, giving the reader confidence in his conclusions. This commentary will help to give a better understanding of God’s Word, while challenging the reader to a personal spiritual walk. A great resource for all or anyone desiring to dig deeper into Scripture. Volumes 1, 2 and 3 are still available at $25.00. The April monthly special brings volume 4 for $25.00. All 6 volumes are available at a discounted price of $120.00. View a sample download on our media site. Would you like to study more from David's current Radio series on the Book of Revelation? Below is a list of what is available from the Hope for Today library. programs and other important information. Sign up for our new electronic newsletter! David's Weekly Bible Study. Click here for more details!